Save yourself a trip to the Municipal Hall! Use our interactive and comprehensive mapping system that contains all the information you need about your property and our community. Use our interactive map to learn more about major infrastructure projects planned for the current year. 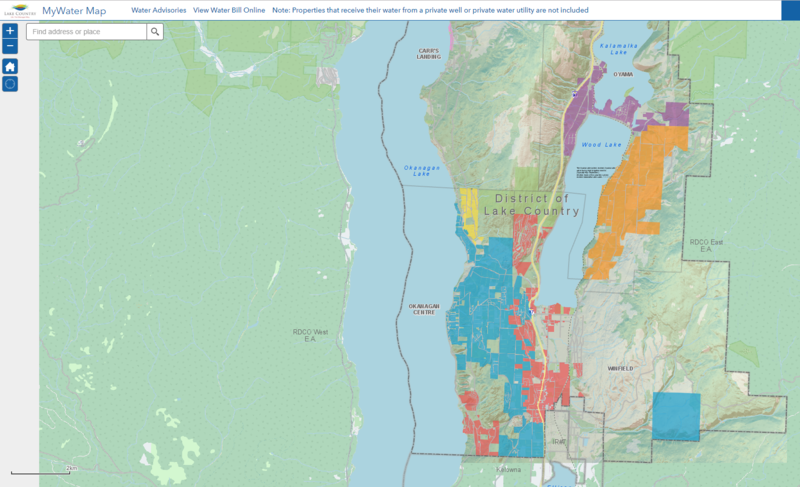 Browse, preview and download free data and reports from the District. Use our interactive map to search for and learn more about our parks and facilities. View the Parks and Facilities bylaw Schedule F (last 2 pages) to see a list of parks and whether dogs are allowed on or off-leash. Print a map and take it with you! View details about the regions hiking and walking trails. 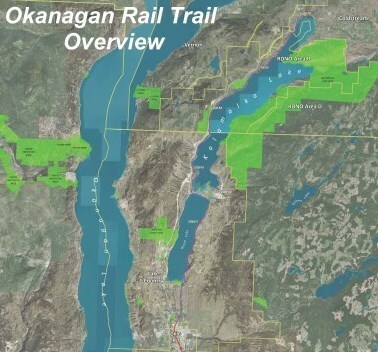 Check out the access points and features of the Okanagan Rail Trail from your mobile device while you hike or cycle along this scenic active transportation pathway connecting communities.